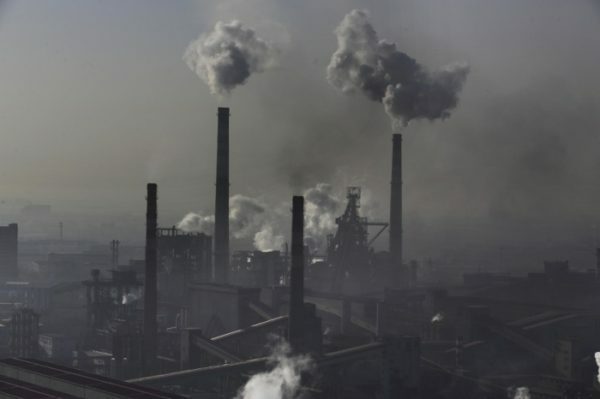 Yanzhou Coal Mining Company Coal fired power plants and factories create 80% of China’s air pollution, making life shorter for city dwellers. The United States has turned agriculture into an equally polluting State-Owned Enterprise through subsidies, industrialized farming and unregulated soil degradation. China pumps Carbon into the sky while the US has flushed 75% of the Carbon content of our topsoil out to sea. 2. Farm Subsidies Damage the Economy: In 2006 the Congressional Budget Office (CBO) found that all the studies they reviewed showed that both the U.S. and global economies would gain from the repeal of subsidies and trade barriers. Ted Turner (on the right) is the largest landowner outside of the Federal Government and because he raises free-range buffalo he is entitled to soil conservation subsidies of $150/acre. 3. Farm Programs Are Prone to Scandal: Perhaps the biggest scandal is that congressional agriculture committees are loaded with members who are active farmers and farmland owners. Those members have a direct financial stake whenever Congress votes to increase subsidies, which is an obvious conflict of interest. 4. Farm Subsidies Damage U.S. Trade Relations: The World Trade Organization estimates that even a one-third drop in all tariffs around the world would boost global output by $686 billion, including $164 billion for the United States. Worse developing and under-developed countries cannot compete fairly with industrialized nations dump their corn, cotton, soy and wheat. 5. Farm Programs Damage the Environment: Farming, like any industry, can cause negative environmental effects, but it is misguided for federal policies to exacerbate those problems. 6. Agriculture Would Thrive without Subsidies: If farm subsidies were ended, and agriculture markets deregulated and open to entrepreneurs, farming would change just as it did in New Zealand. The Hillary Archipelago voters have their own urban socio-economic problems because State-Owned Enterprise Farming has destroyed Agriculture the sole source of wealth and revenue of every nation. Factory farming wastes resources, requiring vast inputs but giving relatively little food energy in return. Because so much feed is used for factory farming, a large amount of other resources are needed to grow it. One of these is land, much more of which is needed to produce meat or dairy products than to produce vegetables, cereals or fruit18. And then there’s water, which is often used to irrigate the crops, particularly when they are grown in countries which have lower levels of rainfall. According to the WWF19, livestock production accounts for around 23% of all water used in agriculture – equivalent to more than 275 gallons per person per day, where a family of four uses an average of 30 gallons a day. A lot of energy is needed too, in particular for the manufacture of synthetic fertilizer and pesticide to grow feed crops20. Furthermore, these pesticides and fertilizers require large volumes of valuable resources such as nitrogen and phosphorus. Many of these resources could be put to better use, helping us to grow enough crops for the current world population, for example. The industry regularly asserts that cramming large numbers of animals into factory farms and pushing them to extreme levels of productivity is efficient. But this couldn’t be further from the truth: industrial-livestock production, which relies on huge volumes of human-edible crops for animal feed, is inherently inefficient. It’s thought that for every 100 calories we feed to factory-farmed livestock, we only get 40 calories back in the form of milk, 22 back in the form of eggs, 12 back in the form of chicken meat, 10 in the form of pork and 3 in the form of beef. But the wastage doesn’t stop there. Growing these crops to feed the animals uses up vital land, water and energy, and has led to the intensification of crop production with the use of chemical-soaked monocultures. The result is poor soil quality, as well as more pollution, carbon emissions, deforestation and biodiversity loss.